love this simple lighter weight trench from the 90s. 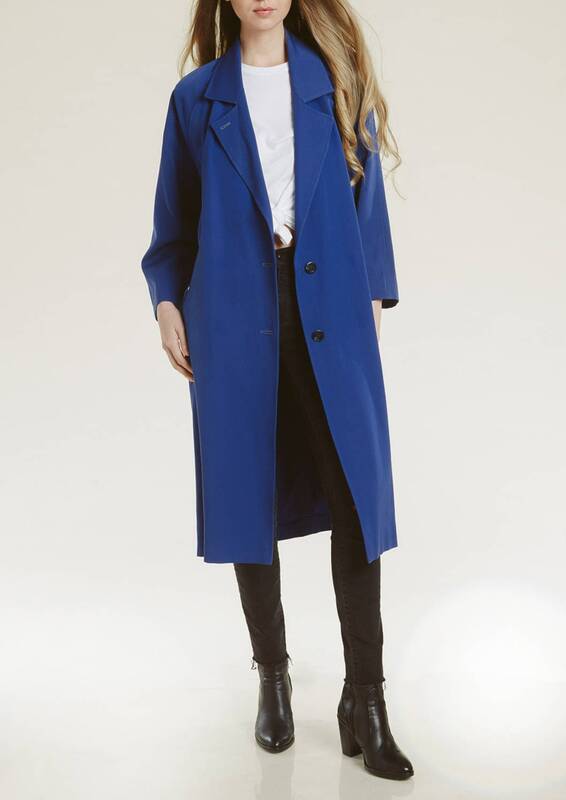 vibrant color, swing shape and minimal design give this coat perfect modern appeal. slight discoloration (subtle lightening at top), overall great and not super noticeable.